Stays Crunchy Even In Ink! 1985 was a good year for many things. In movies, such classics as Back To The Future, Rambo First Blood Part 2, The Breakfast Club, Commando, Rocky IV, Clue, Return of the Living Dead, Pee Wee’s Big Adventure, View to a Kill, Fright Night, Re-Animator and Day of the Dead all filled the cinemas with entertainment. Vinyl and cassettes of such albums as David Lee Roth’s “Crazy From The Heat”, Megadeth’s “Killing is My Business…And Business Is Good”, Motley Crue “Theatre of Pain” and W.A.S.P. Put out “The Last Command”. TV shows like Cheers, Cosby Show, Golden Girls, Night Court, Amazing Stories, Saturday Night Live and Growing Pains were great home entertainment for couch potatoes. Not to mention horror hosts like Commander USA just started his Groovie Movies and Dr. Creep of Shock Theater had ended his long run on Dayton television. But while stuff like this was going on, the kids of that time also knew one thing that troubled them and that was Cap’n Crunch was missing!! 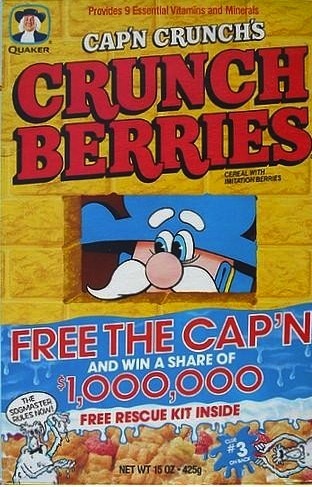 Cap’n Crunch, whose full name is Horatio Magellan Crunch, is the mascot for the surgery cereal of the same name (that stays crunchy even in milk) put out by Quaker Oats since 1963. The good Captain of the S.S. Guppy, along with Seadog and a young crew, sailed the seas and delivered breakfast to all the hungry girls and boys around the world and became beloved by all who ate his fun and good tasting cereal. 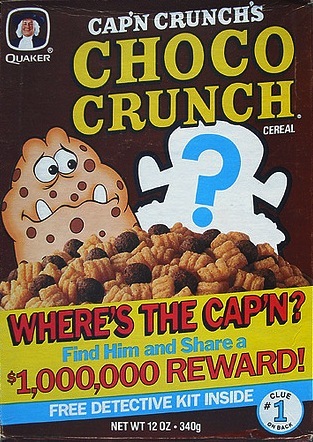 As the years went by Cap’n Crunch would bring in more great tasting cereals like Crunch Berries, Peanut Butter Crunch, Choco Crunch and Vanilly Crunch and became friends with CrunchBerry Beast, a wild creature with red hair, yellow skin and red spots, Mr. Choco a creature made out of cookie dough who could shape shift, a crunch berry bush and Smedley, a peanut butter loving elephant. 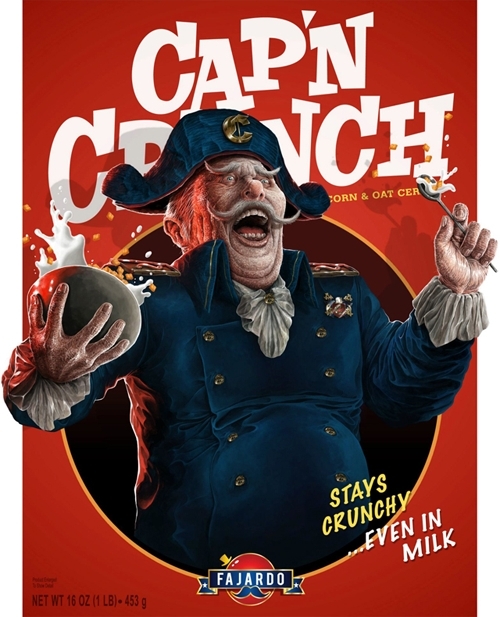 But while his friends, fans and crew all loved him, Cap’n Crunch did make some enemies along the way that wanted nothing more than to bring him down and ruin breakfast for everyone. 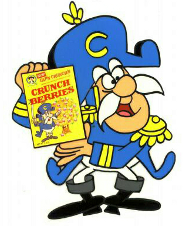 Being a Cap’n of cereal is hard work, and you don’t get to the top of the table choice with out making some folks mad. The poor Cap’n has his share of jealous haters. 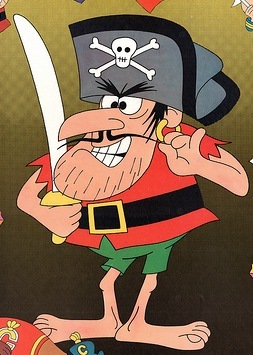 Jean Lafoote is a barefooted pirate who wants to steal the secrets of the cereal. He has kidnapped and stolen and would stop at nothing to get what he wants! 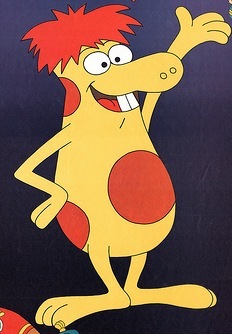 Lafoote was the prime suspect for people like me to when Cap’n Crunch was missing even though by 1985 he was a second thought and not a mascot in use! While he was the prime suspect for me, many other ideas and such were given, and many people tried to figure it out to win money that was being offered to lucky winners who could figure out where the Cap’n was..but the shock of where he had been was about to hit us all. Kids around the US were worried and spent time trying to figure out where the Cap’n was and hoping he was okay. They had their parents buy boxes of Cap’n Crunch cereals to try and get the clues that were inside the boxes to figure it out, to help their breakfast friend and to win some money to buy toys and video games for helping find him. But then they found him…and the place he was lost in was The Milky Way…you get it? 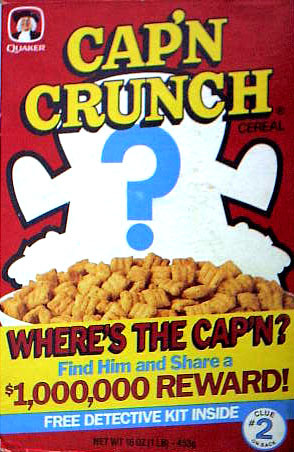 So after all the worry and stress, Cap’n Crunch was found safe and sound and was once more on our TV commercials and cereal boxes. But this peace of mind would only last for a year when more trauma would be placed on all the youth as once more something would happen to Cap’n and we would all have to team up again this time to Free The Cap’n from his worst enemy, and no it’s not Jean Lafoote! 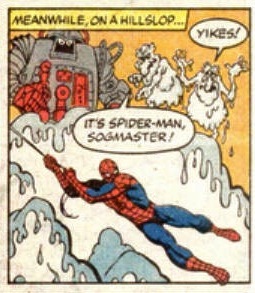 The Sogmaster, along side his henchmen The Soggies, are Cap’n Crunch’s worst nightmare. They want to not only steal his famed cereal, but they also want to ruin it and make it get gross and soggy in milk taking away the crunch! 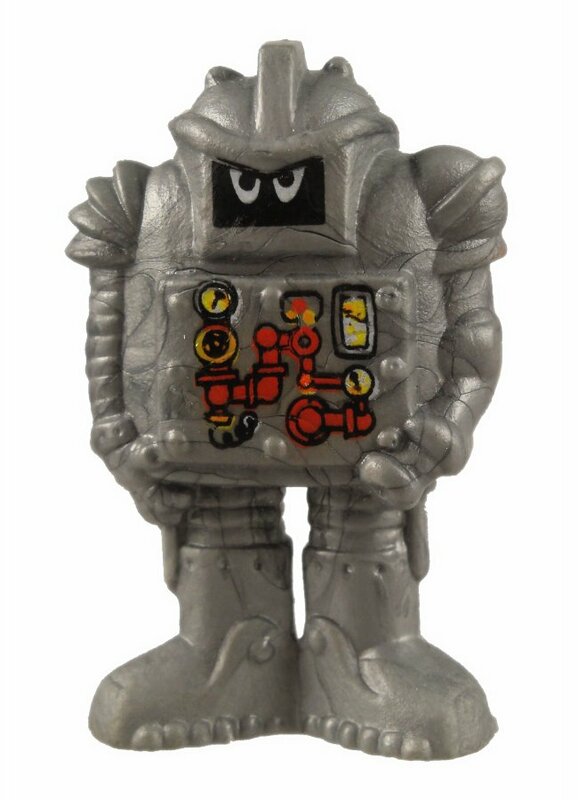 The Sogmaster is a robot who is all grey, has a hoses for fingers that shoot out soggy gross stuff and is very mean spirited. 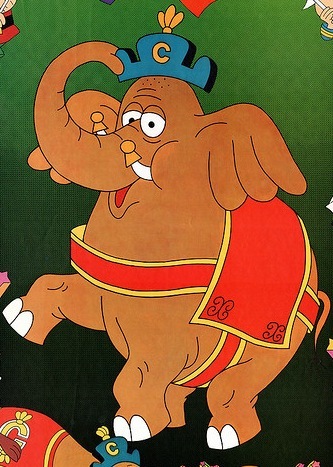 Amazingly enough he left me with the impression of being one of the meanest mascots in my history of watching TV. 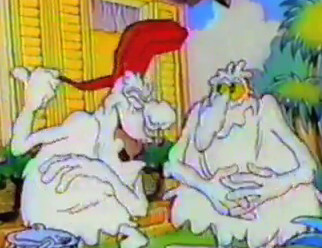 The Soggies themselves are white gloppy masses who are not very smart and are easily out smarted. The way to tell them apart is one wears a red hat and the other does not. 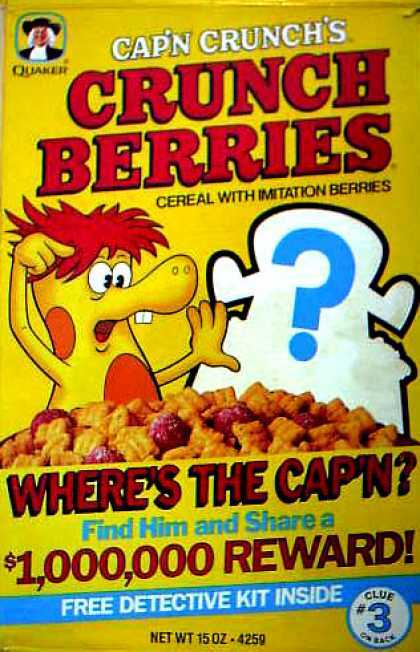 In 1986 Sogmaster and The Soggies did something that would shock the nation; they kidnapped Cap’n Crunch, and once more the hunt was on to find him and save him from his captors. Once more money was given out to those who found the clues and called a 1-800 that held the answers. This is the one case that my brother Bryan and I got into and tried to find Cap’n without calling the phone number and with just small clues and our own ideas. 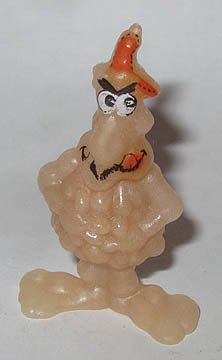 One thing I would like to very briefly talk about are the cool PVC figures that use to come free in cereal boxes based on popular mascots or even Disney Cartoons. 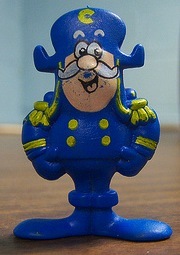 Some of my favorite ones were the Cap’n Crunch ones that had not only Cap’n but also both Soggies and The Sogmaster! My brother and I collected these and during the whole time of them coming out, we only got one Sogmaster, a few Soggies and an army of Cap’n Crunch’s who seemed to be the one they over produced. To this day I have a Cap’n Crunch that sits on a shelf near the TV. So for those who remember these, this blog update is for you! The kidnapping of Cap’n Crunch not only caught the attention of all the kids but it also got the attention of super hero Spider-Man who had all ready also joined the hunt last year to find where he was lost and was now going after The Sogmaster to get his friend back! Now when Spider-Man is worried and wants to save Cap’n, you know he was in deep trouble. 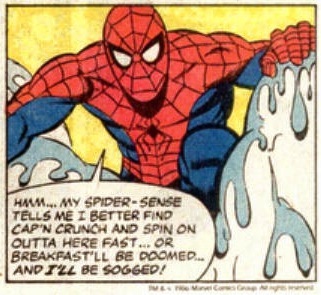 Marvel Comics placed a one page ad in many of their comics that had Spider-Man finding the track of the Soggies and coming face to face with them and leaving us on a cliffhanger as to what happened. 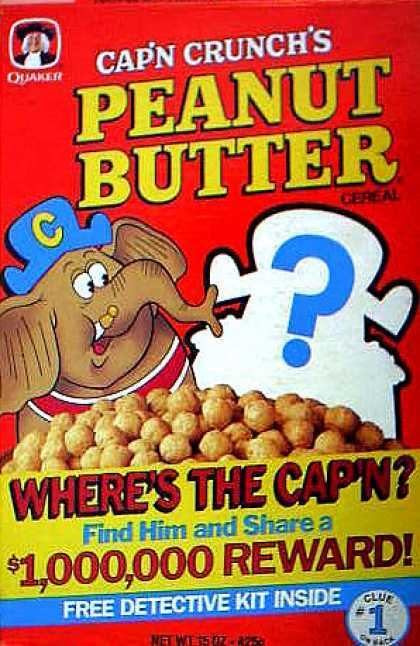 This was a fun way to add to the gimmick of the missing mascot and again made you worry about your breakfast and its champion. But like before, Cap’n Crunch was saved. The Sogmaster was sent packing, and the cereal Icon was free to spread his sugar coated cereal to all! 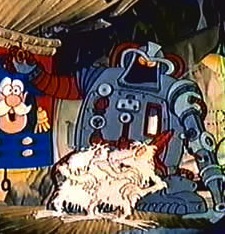 But that’s the thing, while Cap’n Crunch was able to beat The Sogmaster, outstep Jean Lafoote and even find his way home after being lost, it seems that one thing he can’t shake are those pesky people who think they should tell parents what their kids should be eating. That’s one thing that annoys me about society today, everyone wants to say that these cereals are giving kids diabetes, McDonald’s is making their kids fat, etc. While these things don’t help, it’s the job of the parents to watch how much of this type of food their kids eat, and it’s a shame companies are becoming so wimpy that they are backing down and using mascots less and allowing nut jobs to make rules for the world on what’s good for whom. But enough, let me get down from my soap box, and let’s take a look at a comic based on Cap’n Crunch that was given away to people who bought the cereal. I want to remind everyone that I grade these comics on a standard 1-4 star scale and look for entertainment value, art, story and how true the comic is to its source material. So let’s set sail over the Milk Sea, and see if we can have an adventure with the one and only Cap’n Crunch. 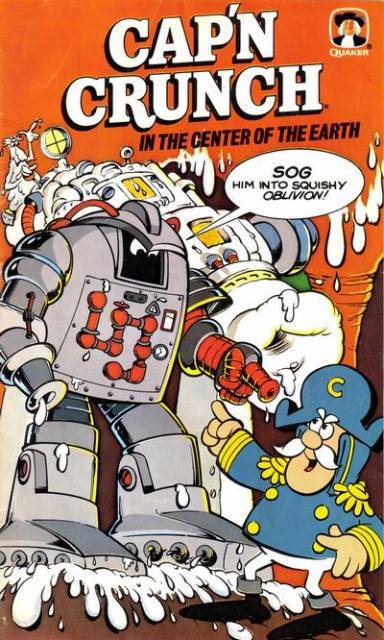 The Sogmaster is about to sog the Earth when Cap’n Crunch along with his giant robot and kid sidekicks Peter & Judy stop him and cause him to be so angry that he wants revenge. 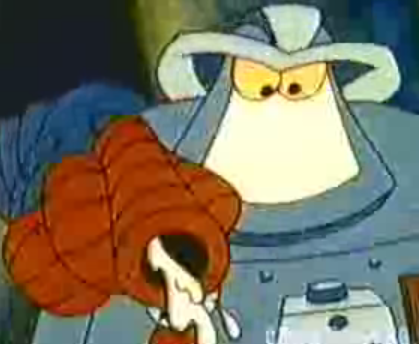 Sogmaster along with his Soggie Army go to the center of the Earth and use a giant cannon to turn the Earth’s crust in mush as well as almost everything on the planet! The government knows something’s wrong and send Cap’n along with Peter & Judy to the center of the world to stop the worlds soggy situation. While down below, Cap’n meets a race of underworld monsters who join his fight and together they all bring down The Sogmaster and his canon with one simple box of Cap’n Crunch Cereal. This is a quick comic filled with a silly story that pits Cap’n Crunch and The Sogmaster against each other, and the end battle is pretty un-epic and not exciting but yet so fitting for a cheesy give away comic of this nature. The story is simple; Sogmaster is mad and wants to take revenge not just on Cap’n but the whole world and uses a Sog cannon on the Earth’s core making everything up above soggy and gross. He’s stopped by Cap’n Crunch and a box of his cereal. The art in the comic is good for this free comic but would not hold up for a comic that one had to pay for and would be considered very poor in Star Comics standards. In fact, I could not find a credit in the issue of who did the art, making one wonder: was he ashamed of it or was he told not to give himself credit? 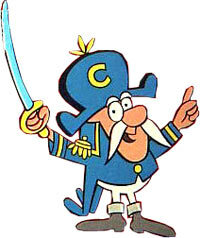 Cap’n Crunch is a silly hero but is very noble to the world and wants everyone to enjoy his crunchy cereal at any cost, even traveling to the center of the Earth to protect it and its eaters. Sogmaster in the issue just comes off as a bad guy who was born to loose and surrounds himself with brain dead henchmen who only slow him down. While he loses a lot, he never rethinks his attacks making him easy to predict and easy to defeat. Not much more can be said about this comic besides the cover is well done and makes it seem way more epic than it actually. Also, the issue should have been longer..yeah, so to sum it up, I would say it’s okay. 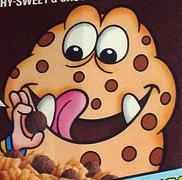 Breakfast mascots were a lot of fun for kids of the 60’s through the early 90’s before parent groups stepped in and took the fun out of everything. I have many fun memories of Cap’n Crunch, the Trix Rabbit and Lucky and wish kids of today could also find a bond with their cereal and its spokesperson. This was a fun quick look back at a simple time when one fake junk food Cap’n worried the youth of the time by going missing and being kidnaped. Our next update however goes back to a series subject as we look at Frankenstein, and not just any Frankenstein but that of the 1910 version done by Thomas Edison’s film company and the amazing comic book done based on this one time “lost” film. So until next time, sit back, relax, eat a bowl of cereal and read a comic or two! And oh yeah Happy Super Bowl Day!